Welcome to one of the world's largest manufacturers of swimming pool fencing, pool gates, and pool covers. 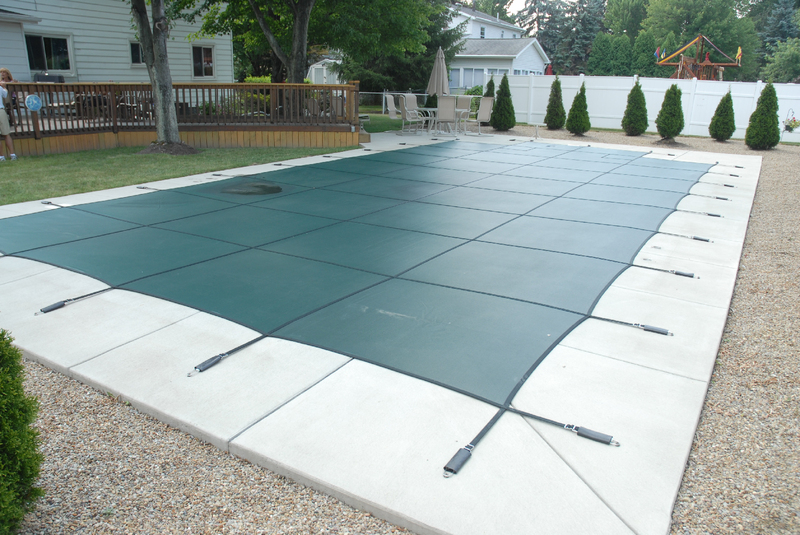 We also carry and distribute automatic pool covers. Pool Guard, a reputable and growing pool fence company is located in Pensacola, Florida and we service Pensacola, the Florida Panhandle, Southern Alabama and Southern Mississippi. Surrounded by water, we were able to use our environment to engineer the highest quality swimming pool fences and gates for pool safety. Since 1991, our pool safety products have been manufactured and from our family-owned and operated company. We know experience matters when it comes to choosing a pool fence company, and that's why Pool Guard works with trained, professional installers that, in total, have made over 100,000 pools safe for families and pets! Pool Guard provides several different pool safety options for your family, including swimming pool fences and gates. We know not all pools are the same so we make our goal to provide you with the best pool safety options available. 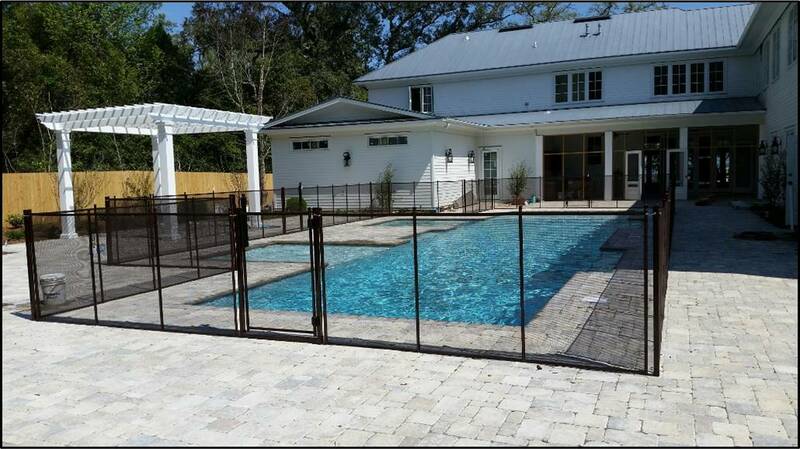 We recognize that every pool is unique and requires a unique safety solution and this is the reason we offer swimming pool fences and gates, pool nets, and pool covers. All of our products are manufactured at the highest level of quality to not only meet, but to exceed ASTM and LNE pool barrier standards that have been established in the United States and Europe. Our products are backed by the best warranties in the industry, and our high standards in manufacturing, installations, and customer service have brought us forward as an industry leader for pool safety products. Pool Guard of Gulf Coast is pleased to offer pool safety covers as part of the trifecta of pool safety options. Our pool safety covers are Made in the USA, have been lab tested and proven to not only meet, but exceed pool safety standards set forth according to ASTM F 1346-9. A house with an incredible view to the pool with the backdrop as the ocean is seldom a view that the homeowner would want interrupted with a solid fence. 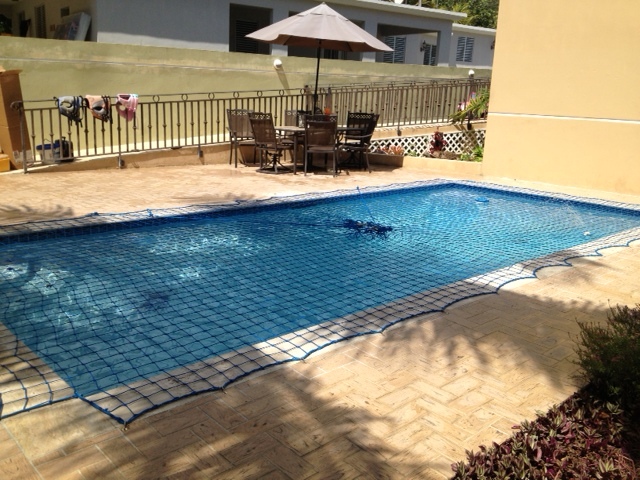 A removable pool safety fence is a good option in this situation due to the transparency of the mesh. Many homeowners with this type of view prefer a pool safety net.